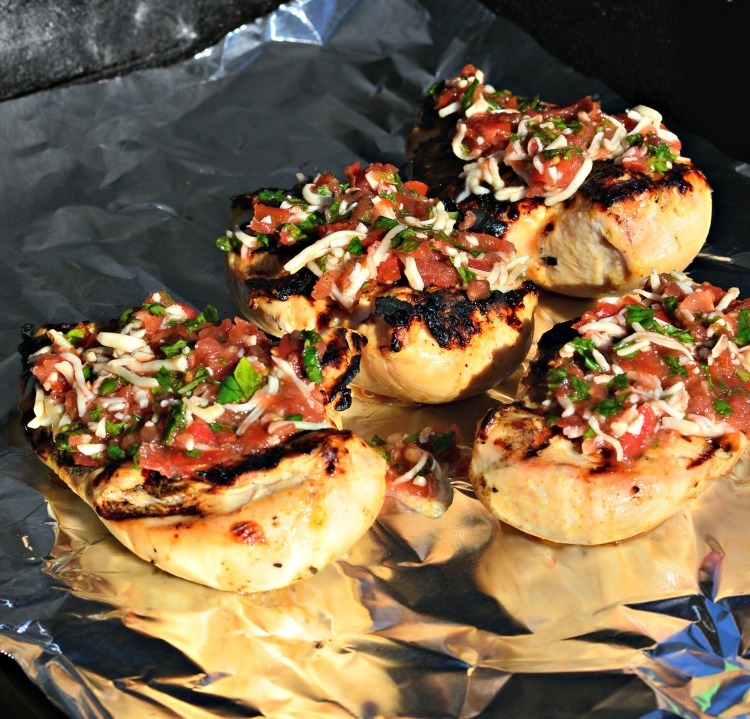 Combine the flavors of bruschetta with chicken on the grill! 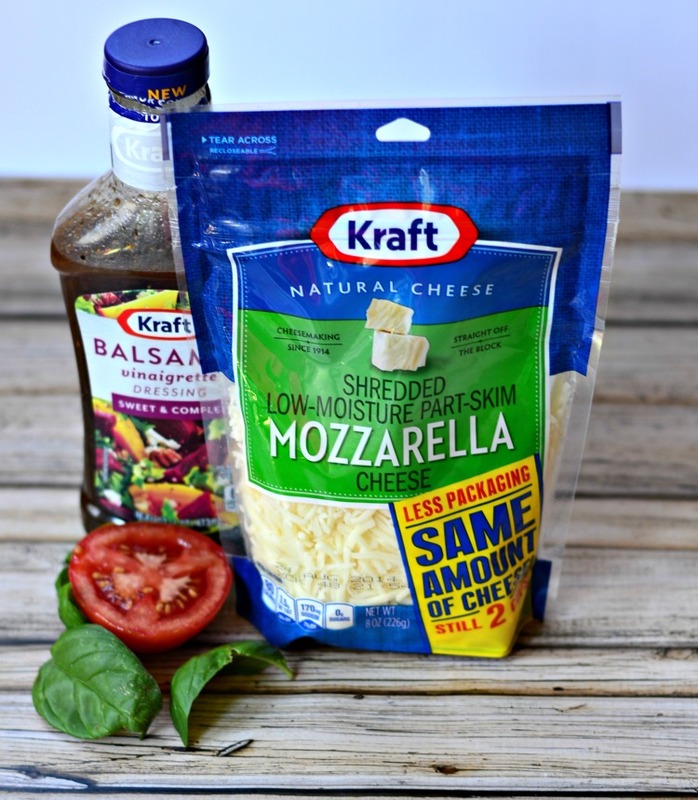 Tomato and basil are paired with KRAFT Mozzarella cheese for a delicious summer meal! Summer is here and while we actually grill year round, we definitely do our fair share of cooking on the grill in the summer. I love to keep the kitchen cool by cooking outside. 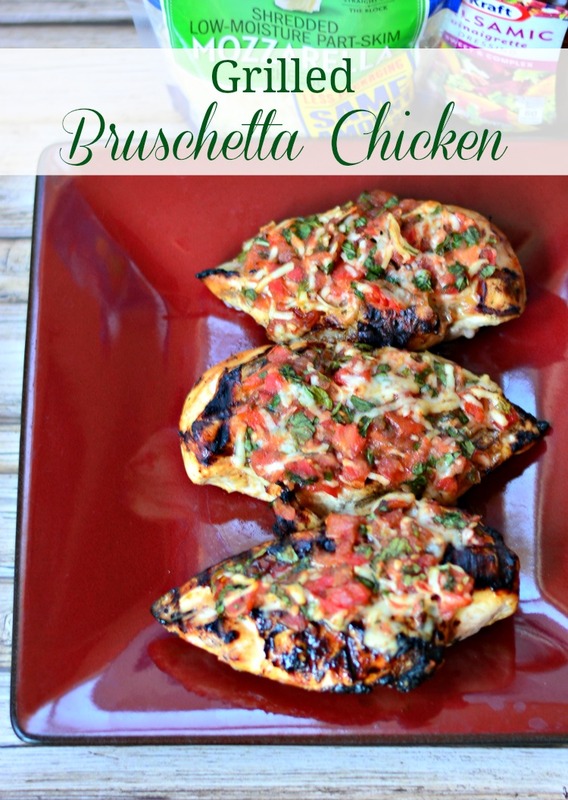 This week I decided to try a new recipe from KRAFT – Grilled Bruschetta Chicken. I love the flavor combination of tomatoes, basil and mozzarella cheese, but I'd never thought to top chicken with it especially on the grill. But KRAFT took care of that worry by using a sneaky cooking trick. I loved the addition of the KRAFT dresssing, as well. I bought my ingredients at the Nevada version of Safeway – Vons. 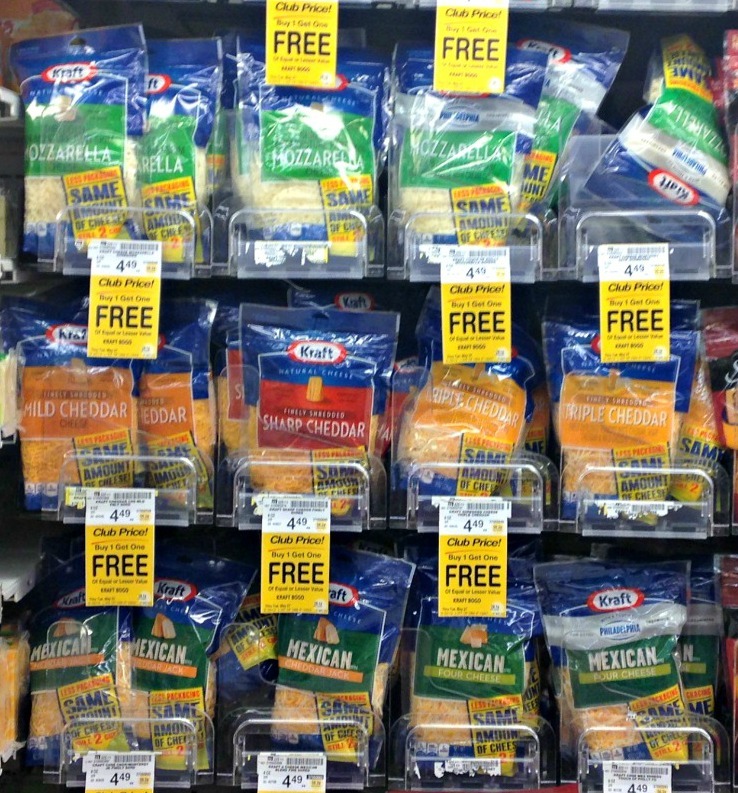 KRAFT has recently re-packaged their shredded cheese in to smaller bags that actually stand up. No more losing cheese to the open bag laying in the counter. The pouches still contain 2 cups of shredded cheese, but they are just more compact, which is a huge bonus in my small fridge. At buy one, get one free, I picked up a few bags for my chicken and a few to stick in the freezer. Make sure to find out more at Safeway Just For You. The chicken is marinated for 10 minutes in a yummy KRAFT dressing. I went with Balsamic because I thought it'd compliment the flavors well. The chicken is then cooked on the pre-heated grill. 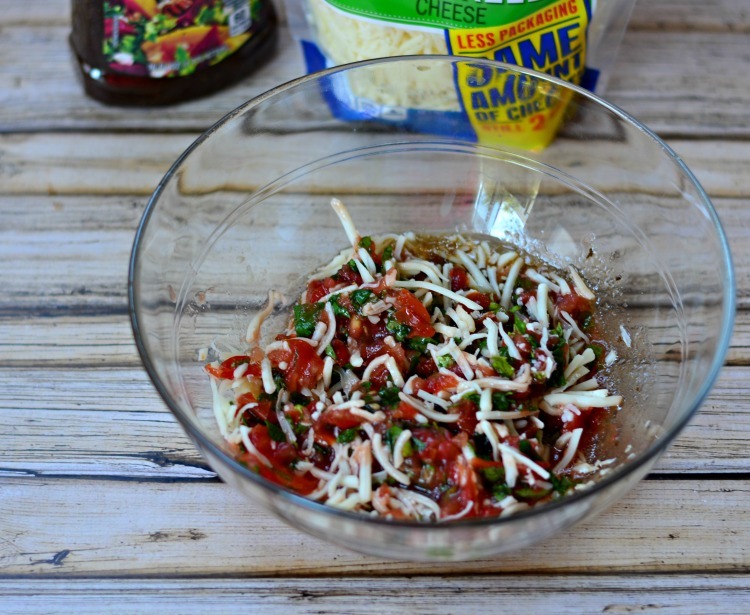 While the first side of the chicken was cooking, I whipped up the bruschetta topping. It was hard not to just dive in and eat straight out of the bowl. 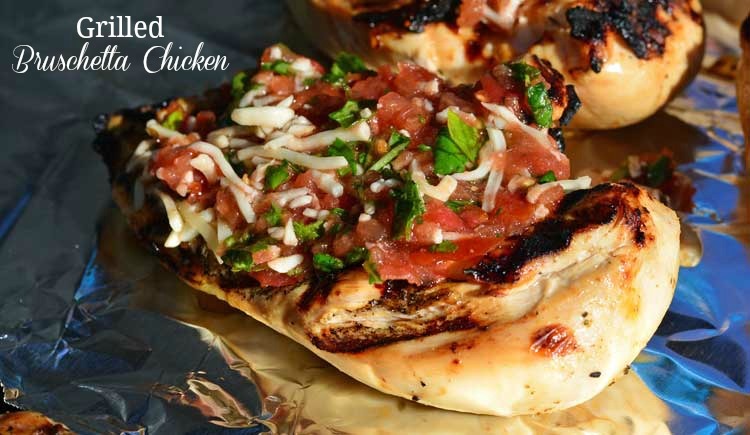 Here's the cool trick – when you flip the chicken over to cook the other side, flip it on to a sheet of aluminum foil in case any of the bruschetta topping falls off. Cook the chicken until it's done. The marinade helped it stay nice and juicy and the flavors were delicious. Grilled Bruschetta Chicken with KRAFT cheese is definitely making it in to the regular dinner rotation around here. Place chicken in large resealable plastic bag. Add 2 Tbsp. dressing; seal bag. Turn bag over several times to evenly coat chicken with dressing. Refrigerate 10 min. Remove chicken from bag; discard bag and dressing. Cover half the grill grate with sheet of heavy-duty foil. 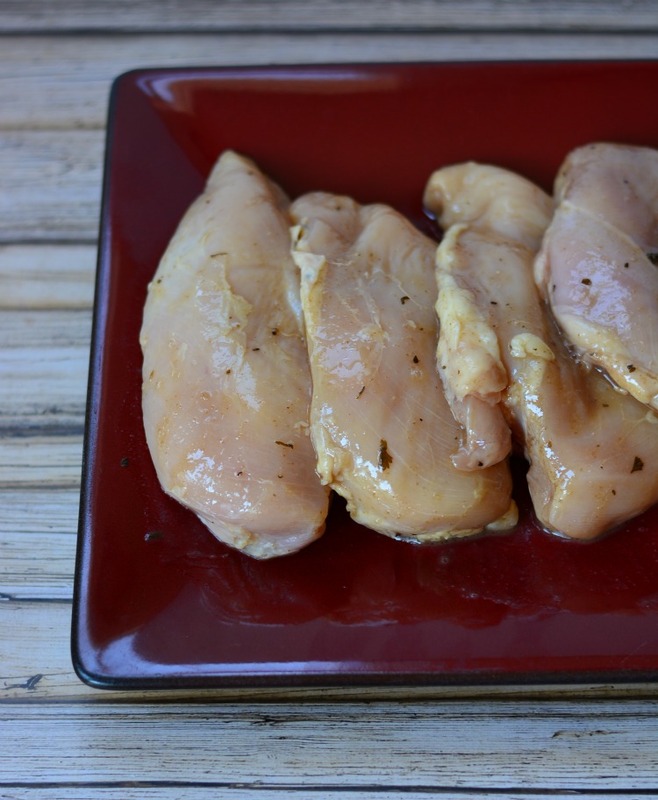 Place chicken on uncovered side of grill grate; grill 6 min. Meanwhile, combine remaining dressing, tomatoes, cheese and basil. Turn chicken over; place on foil. Top with tomato mixture. Grill 8 min. or until chicken is done (165ºF).